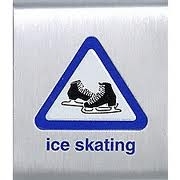 On two occasions, spend at least 30 minutes practicing warm-up exercises before skating. Learn two new figure-skating skills: Forward Swizzles, Glides, Backward Swizzles, and Backward Wiggle. Demonstrate how to "start" in a speed skating race.